The Better Baby book offers creative techniques to show you how to help your baby have a better life, be smarter, be a happier, better baby. 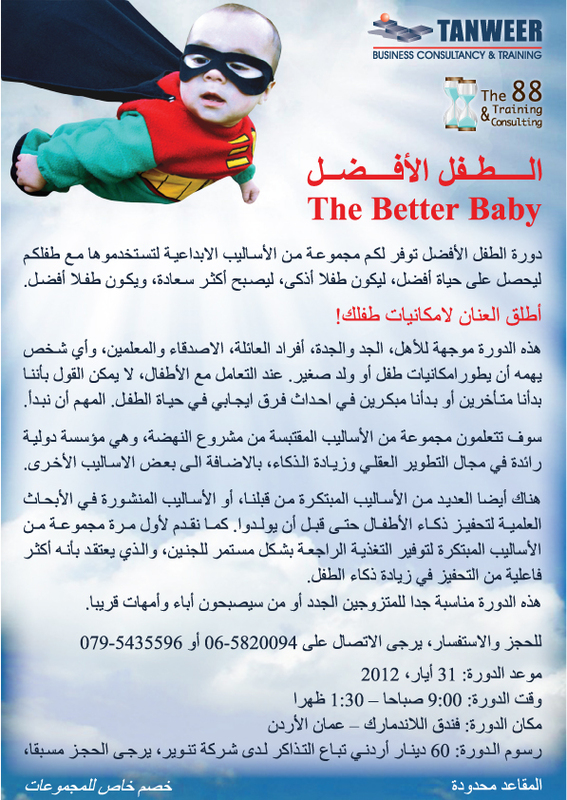 Unlock your baby's potential! This book is directed to parents, grandparents, family members, friends, teachers, anyone who cares about improving the potential of a baby or small child. It is never too late, and it is never too early, to make a meaningful difference in the life of a child. This book includes original techniques in addition to researched methods to stimulate babies even before they are born. Also introduced for the first time anywhere are original techniques for providing consistent feedback to fetuses, such feedback believed to be far more effective than mere stimulus. This book includes a number of techniques derived from the work of Project Renaissance, in addition to the many gleaned from elsewhere. The Better Baby book includes an extensive bibliography/recommended reading list, Internet resources, and the latest information about the subject of stimulating with love. The Better Baby book is a perfect gift for newlyweds or expectant parents! The book is available from Project Renaissance. In Africa it is available directly from its publisher, Coral Publishers, P.O. Box 6760, Vanderbijlpark 1900, South Africa. Use our convenient and secure online ordering service. 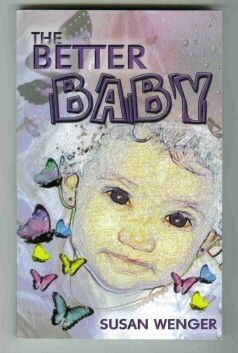 To order The Better Baby ($14.95 plus shipping), simply click on the ORDER button. uses The Better Baby book as its inspiration and guide. The center cares for babies aged newborn to 24 months. "This is the finest infant care center I've seen anywhere," observed Susan Wenger after visiting Fireflies. And Win Wenger remarked, "This day care system is a concrete result of some of our work, and a most excellent outcome. All the babies there were remarkably bright-eyed and bushy-tailed. Days-old infants were looking around their room clearly SEEing things and responding to them."  Visit their website. See a description in Arabic (opens in new window). The Port-Wine Sea is a rousing parody of what The New York Times once called "the best historical fiction ever written," Patrick O'Brian's epic Aubrey-Maturin series. The Port-Wine Sea is a story about a British naval captain during the Napoleonic War, and his friend, a naval physician/espionage agent. They set sail once again aboard "H.M.S. Aghast" during the War of 1812 to demonstrate to the upstart Colonies the errors of their ways. The doctor/spy tries to establish liaison with the Creek Indians to create a diversion to the main British assault. Meanwhile the noble Captain is diverted by a teenaged Maryland vixen. Along the way, they encounter a skittish horse, a demure skunk, a whooping crane, and an escaped colony of termites aboard the ship. The Port-Wine Sea is available directly from the author through Project Renaissance, since the original publisher, AmErica House, disappeared after its feat of publishing this highly remarkable work! To order The Port-Wine Sea ($12.95 plus shipping), simply click on the ORDER button.